Who is the Grease Hygiene Operative (GHO) BESA Short Course for? If you work in the building engineering services or are about to begin working in building engineering services and your remit will see you involved with grease extract hygiene then this course is for you. In fact, it is a very important that you take this course. You don’t need to have prior experience of grease extract cleaning, we will teach you the basics and more! You do need to have completed a health and safety training certificate prior to joining us for this course, and have the certification to prove it. We host this course here at the Hasman training facility – Unit 2 Sandon Way, Sandon Way Industrial Estate, Liverpool, Merseyside, L5 9YN. Located centrally in the country and well served by public transport, it is easy to get to us wherever you are arriving from. Please ask us if you would like recommendations for hotels in the area. Our training facility is designed specifically for hosting this and other related courses and it couldn’t be better equipped for the task. We are able to perfectly simulate a real working environment, which means that you will leave the course with hands-on experience. What shall I bring with me on the day? You need to bring very little with you to the course. Everything you are likely to need throughout the day will be provided for you, including drinks, lunch and even biscuits! If you have any special dietary requirement please notify us when you make your booking. If you prefer to go out and buy food you can do that; there are several places locally. Contact us for more details. The only things you do need to bring are appropriate work clothing, detailed in the next question. What do you wear for work? Come to the course dressed appropriately for the practical aspects of the training, in clothes that you consider practical workwear. Also ensure that you bring steel toe cap safety boots and safety gloves. These are essential and you will not be able to take part in all aspects of the course without them. 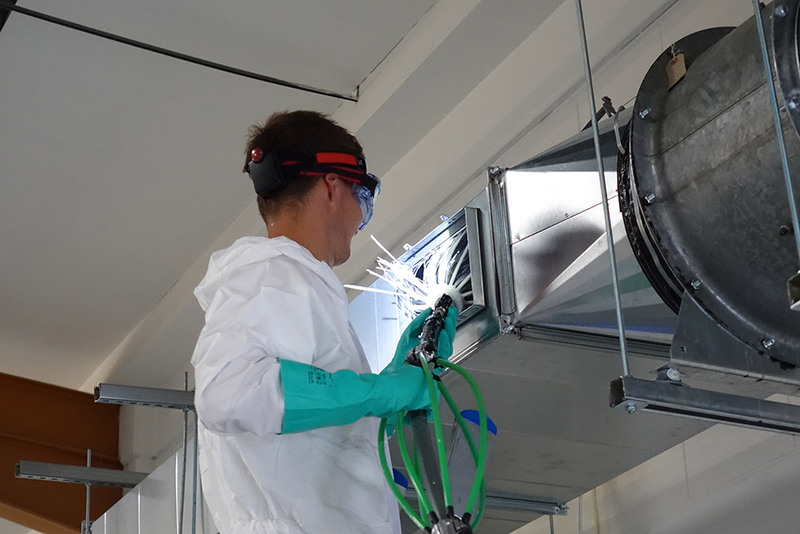 The Grease Hygiene Operative (GHO) BESA Short Course is a three day course. It lasts from 9am to 5:30pm each day, with lunch and short breaks taken throughout the day. Please arrive on time each day, ideally a little early. Yes, you absolutely need to register in advance if you would like to attend this course. We don’t run it often, so places fill up fast. Visit the training section of our website to find the next upcoming course. You can register directly through the site. If you have any more questions, which aren’t covered here or on the relevant page in our training section, please get in touch with us on 03333 443 780.